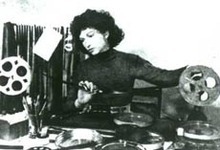 Maya Deren was born Eleonora Derenkowsky in Kiev in 1917. Her father was a psychiatrist. In September 1922 the family emigrated to America and settled in Syracuse, New York. In 1938 she gained a Master of Arts Degree in literature at Smith College. During the 1930s she was active in the American Socialist Party. She became involved in modern dance, and while working as publicity assistant and secretary to the Katherine Dunham Dance Troupe on tour, met the Czech emigre film-maker Alexander Hammid, whom she subsequently married. 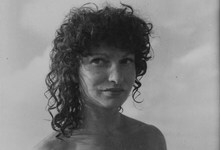 Hammid collaborated with Deren on her first film, Meshes of the Afternoon which was shot using a 16mm Bolex in two weeks in 1943. At Land followed in 1944, A Study In Choreography For The Camera in 1945 and Ritual In Transfigured Time in 1946. During this time Deren also worked on the uncompleted film Witches Cradle. In 1947 she was awarded the Guggenheim Foundation Fellowship for work in 'creative motion pictures' and went to Haiti to film Voudoun rituals and dances. Her book on Haitian Voudoun, The Divine Horsemen, was for many years the definitive work on the subject. She never completed the film of the same name which she worked on, but this was edited after her death by her widower Teiji Ito and his second wife Cheryl. 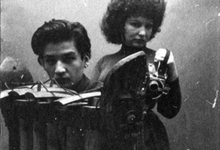 Deren completed two more films: Meditation On Violence (1948) and The Very Eye Of Night. 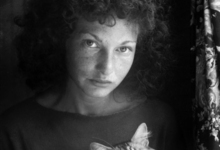 Maya Deren worked ceaselessly to establish facilities and funding for the independent film movement which subsequently grew up in America. She founded the Creative Film Foundation and her work led ultimately to the establishment of the first Film-Makers Co-op in New York. She wrote numerous theoretical and technical articles for film magazines, but also wrote articles on film-making for mainstream women's magazines and in 1946 published a pamphlet: 'Anagram Of Ideas On Art, Form and Film'**. She died following a brain haemorrhage in 1961.